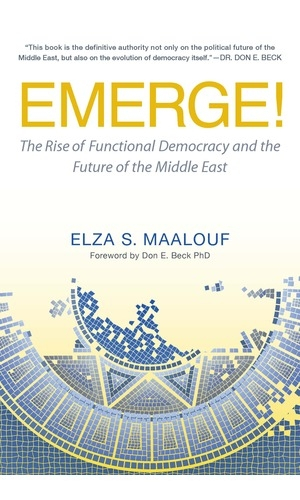 In Elza Maalouf’s groundbreaking new book Emerge! The Rise of Functional Democracy in the Middle East, we are introduced to a new paradigm for governance based on Clare Graves’ theory of Spiral Dynamics. Maalouf places democracy in an evolutionary, values-system context specific to unique, Middle Eastern characteristics.